Frank Trevino takes an idea and integrates it with forward thinking data-driven technology to create value across organizations. 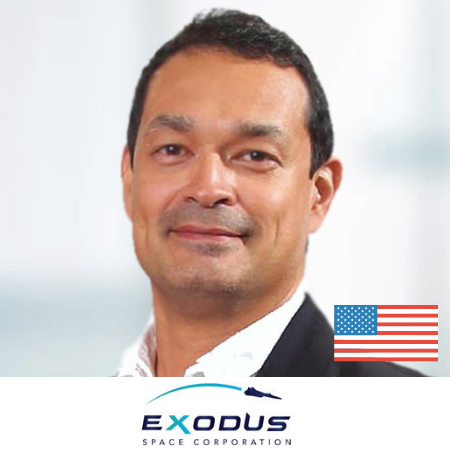 Currently as Partner | AI Strategy of Tinman Kinetics, a U.S. based cognitive and artificial intelligence company (born out of the IBM AI XPRIZE, NASA iTech and MD5 - Department of Defense programs) and CMO of Exodus Space Corporation, Frank provides 25 years of digital strategy, leadership and execution. As a former senior executive of Korea Telecom (36,000+ employees with revenues of $20B) leading global strategy and marketing initiatives, and involvement with numerous technology startups, Frank’s AI transformation philosophy is to connect People, Product, Process and Technology to turn data into digital assets with his career spanning across the U.S., Europe, Asia and Africa. Frank speaks frequently on AI including upcoming CESAsia 2019, Digital Transformation World 2019 and AI Summit 2019; and is featured and recognized by TM Forum, NASA, XPRIZE, MD5, Inc. Magazine, CNET, CBS, Geek News, Space News, Aviation Week, Communicator Awards, and Silver Anvil Awards. Frank holds an MBA from the University of Houston and a B.S. from the University of Texas at Austin.